Mixed nuts (cashews, almonds, blanched extra large filberts, mammoth pecans) with peanuts. 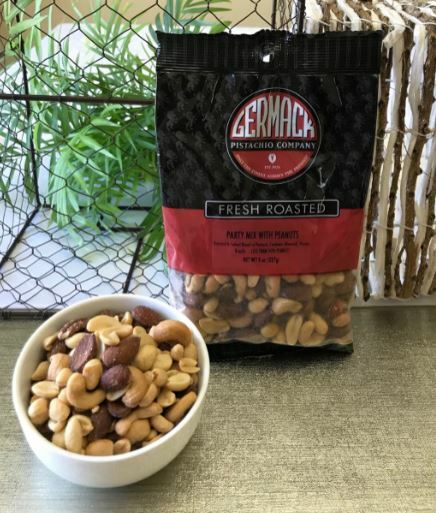 Same nut quality as our "Fancy Mixed Nuts" blend, with added peanuts. We artesian roast all the nuts in pure canola oil, and then lightly salt and combine them for a great tasting snack. 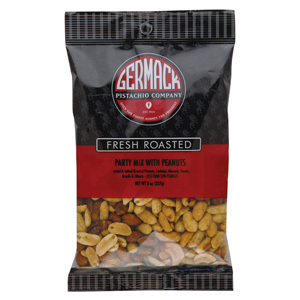 Great party mix for any gathering.